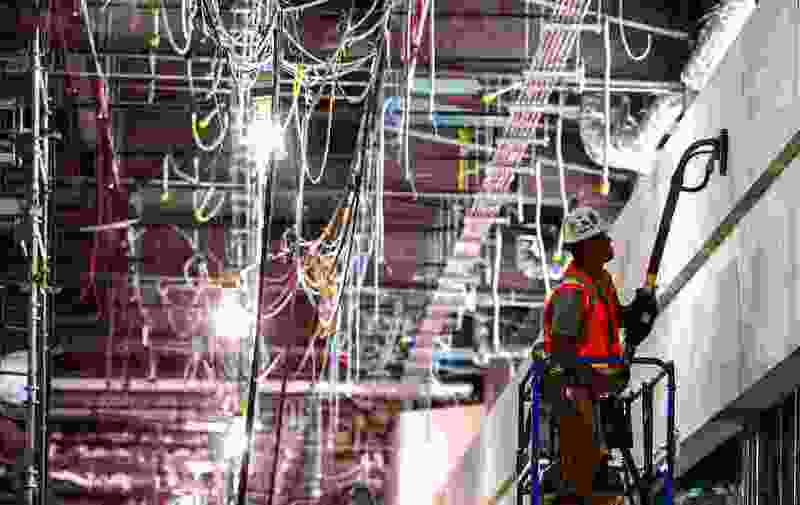 (Leah Hogsten | Tribune file photo) File photo show work at Salt Lake City International Airport's first phase of expansion construction. Utah ranked No. 2 in the nation last year for increase in personal income. Construction was among the industries that the saw the largest increase. Utah ranked No. 2 among the states last year for growth in personal income, but it still has a long way to go to catch up with the national average for per person income. Personal income for Utahns was up 6.3 percent between 2017 and 2018, according to data released Tuesday by the U.S. Bureau of Economic Analysis. Still, the Beehive State ranked 41st out of 50 for per person income — $45,340, or 16 percent below the national average of $53,712. Utah often ranks low in per capita income in part because it has large families with many children, which drags down the average. The only state that had faster personal income growth than Utah was Washington, which saw an increase of 6.8 percent. Nevada was No. 3 at 5.7 percent. At the other end of the spectrum, Hawaii had the lowest income growth last year at 2.9 percent, followed by Nebraska and Rhode Island at 3.1 percent. Personal income increased in all states and the District of Columbia. Among different segments of personal income growth, the bureau reported that Utahns saw a 6.6 percent increase in wages; a 6 percent increase in income from interest, dividends and rent; and a 5.4 percent hike from “transfer receipts” such as government social benefits and insurance settlements. The bureau reported that overall earnings in Utah increased by nearly $6.9 billion during the year. Some of the top increases by industry include: professional, scientific and technical services, up $1.16 billion; construction, $858 million; finance and insurance, $605 million; state and local government work, $512 million; health care and social assistance, $389 million; and durable goods manufacturing, $348 million. Connecticut had the highest per-person income among the states: $74,561, 39 percent above the national average. It was followed by Massachusetts at $70,073 and New York, $68.667. Mississippi had the lowest per capita income, at $37,994. It was followed by West Virginia, $40,578, and New Mexico, $41,198.